Ari J. Markenson is a Partner with Benesch Friedlander Coplan & Aronoff LLP's Health Care Practice Group. He has spent his career at the intersection of health care, law and business. Mr. Markenson is experienced in counseling health care industry clients, including providers and payers, and has specific expertise in the representation of post-acute care providers. Mr. Markenson regularly assists clients on legal and regulatory compliance issues, fraud and abuse, HIPAA, enforcement issues, mergers and acquisitions, due diligence, corporate and business matters, certificate of need and state licensure. Mr. Markenson speaks and publishes regularly for well-known health care organizations on topics related to health care law and business. Additionally, he is a Past Chair of the New York State Bar Association - Health Law Section and still serves on its Executive Committee. He is also a Vice Chair of the AHLA, LTC-SIR Practice Group. 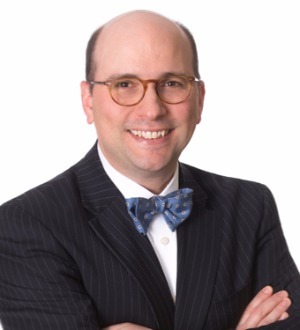 He is the co-editor of AHLA's 50 State Survey of Licensure and Certificate of Need Laws for Nursing Homes, Assisted Living, Home Health and Hospice. Mr. Markenson is an Adjunct Associate Professor at the University of Maryland University College, Graduate School of Management and Technology, where he teaches courses in Long-Term Care Administration and Legal Aspects of Health Care Administration. In addition, he is a Lecturer at the School of Health Sciences and Practice at New York Medical College, where he teaches Health Care in the U.S., Law and Health and Management of Long Term Care Facilities. He is also an Adjunct Associate Professor of Law at Brooklyn Law School where he teaches a health law practice workshop.